Justin Brueggeman, organist, plays music by Bach, Buxtehude, Mendelssohn and Mozart on the renowned John Brombaugh pipe organ. 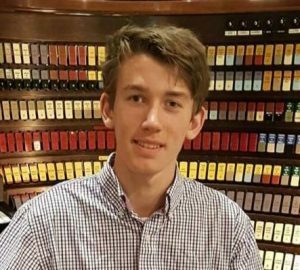 Mr. Brueggeman is a Junior at Science Hill High School in Johnson City, Tennessee, and serves as interim organist at Holy Trinity Lutheran Church in Kingsport, Tennessee and principal organist at St. Dominic Church in Kingsport. Join us for 40 minutes of delightful music! A freewill offering will be collected.